LEARNING THE MORSE CODECommunications of the army in war were largely dependent upon the Morse code. Telegraph, radio, and the various systems of light, flag and arm signals were dependent upon it. 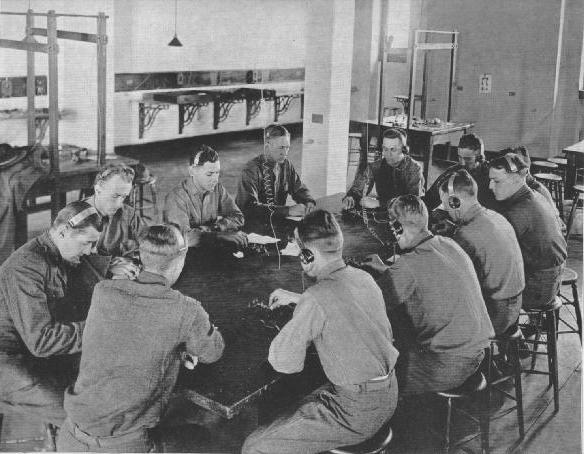 Here is a group of candidate in an officers' school studying the code with the aid of telegraph keys.